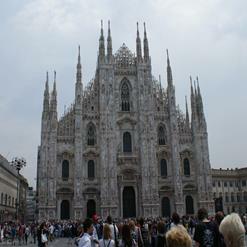 Piazzale Cordusio is a central and busy square in Milan, right near the Duomo. It boasts some grand and beautiful late-19th century architecture. Once, and to some extent still today, it was an economic hub of the city, with the headquarters of several companies, and big banks and postal offices.